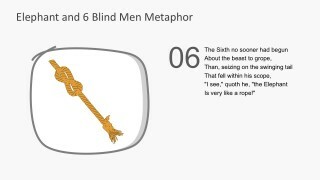 The Six Blind Men and The Elephant PowerPoint. This metaphor is an adaptation of the old Indian folk tale which later popularized by John Godfrey Saxe. 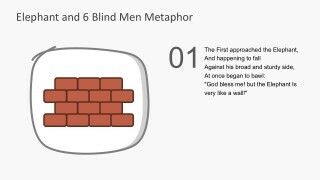 The famous story of the six blind men and the elephant was regarded by different sectors. 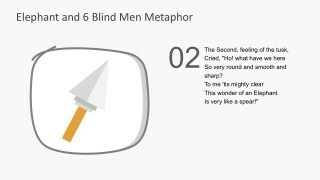 In this nine (9) PowerPoint slides, the tale is narrated in a graphic illustration. It resembles a storyboard with finely sketched images and shapes. 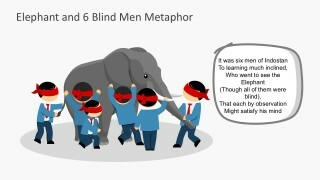 Six Blind Men and The Elephant PowerPoint resonate an important lesson. That can be benefited by poets, school teachers, group leaders and storytellers themselves. Managers can even use the slides to present risk assessment and proper evaluation of a situation before making business actions. 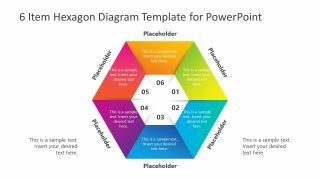 The advantage is they can use the PowerPoint and tell their own interpretation or metaphor. The first man touched the elephant’s body. It felt hard, big and wide like a wall. 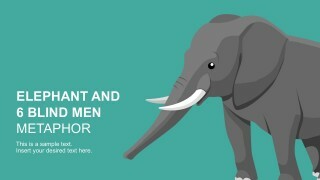 The second man touched the elephant’s tusks. It felt smooth, hard and sharp like a spear. 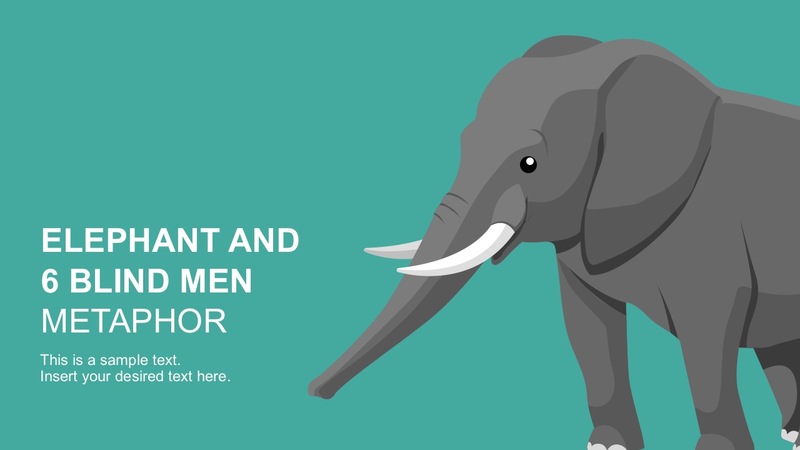 The third man touched the elephant’s trunk. It felt long, thin and wiggly like a snake. 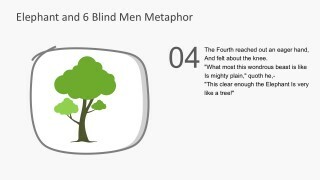 The fourth man touched the legs. It felt thick, tough, and round like a tree. 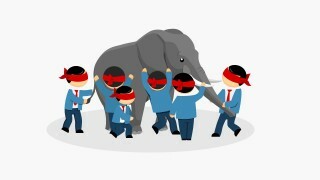 The fifth man touched the elephant’s ear. It felt thin and it moved like a fan. 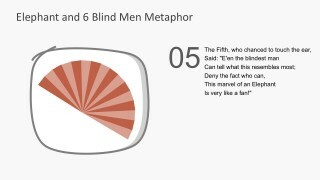 The sixth man touched the elephant’s tail. It felt long and thin and strong like a rope. The philosophy of the story depends on the listener’s perception. It could be the lack of knowledge is likened to a man with no eyesight. 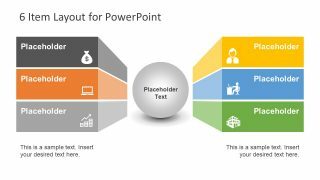 The presenters can take advantage of the entire PowerPoint. 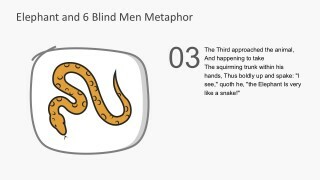 The slides provide a cool illustration of an elephant, the six blind men represented by Mike PowerPoint character. The wall, the spear, the snake, the tree, the fan and the rope are all created from PowerPoint vectors. Thus, can be modified in size, color, and style. 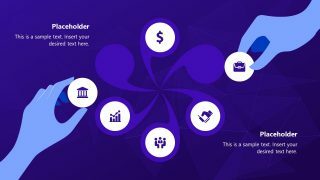 Other PowerPoint Shapes can also be added as desired. 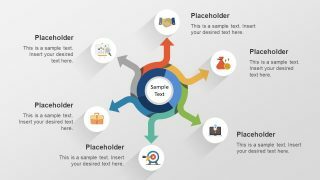 Check for more cool PowerPoint templates.